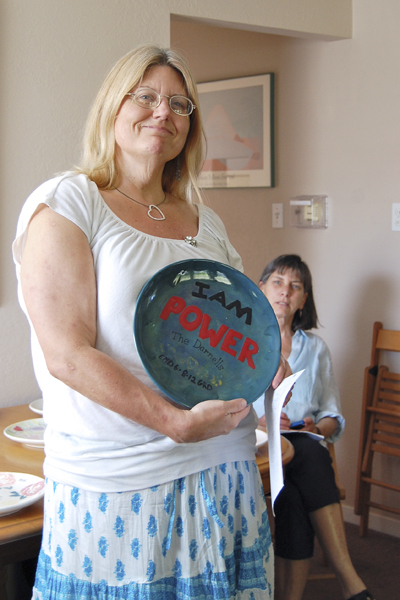 Hope House scholar Ellen D. said the confidence she gained studying and writing about influential women in history helped to counteract the ‘powerlessness and shame’ of addiction. Ellen D., a lawyer and an alcoholic whose binge drinking landed her in jail, described writing assignments such as a play that showed how Emily Dickinson and Sojourner Truth might have interacted as “cathartic.” The experience, she said, helped to counteract the powerlessness and shame of addiction. “For the first time in a long time I did something I was proud of,” she added.